Location: Hangin' with the cons, crazies, and crackheads on 11th & Grand. 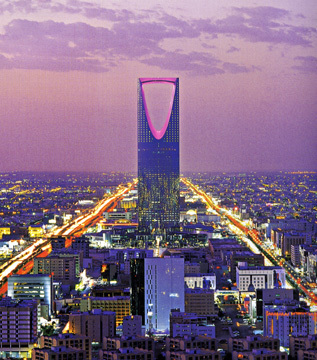 I'll take Kingdom Center in Riyadh. I finally divorced beer and proposed to whiskey, but I occassionally cheat with fine wine. The HSB Turning Torso building is my favorite building ever. Relocate it! It's actually 7 feet shorter than 1KCP! Last edited by bahua on Fri Oct 19, 2007 12:34 pm, edited 1 time in total. While your talkin' about buildings thought I'd just add my personal fav. The palace of science and fine arts in Warsaw Poland. I like how the entrances are so elaborate on each of the four sides. I think the Carbide and Carbon Building would look great in downtown KC. It's Art Deco style would fit right into KC's skyline. 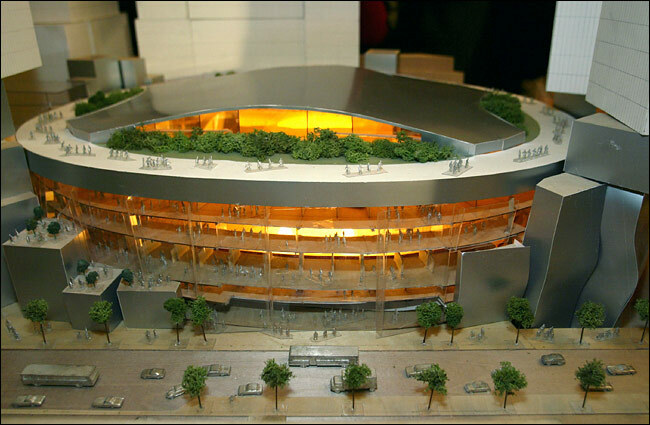 Its was proposed Brooklyn Nets Arena designed by Frank Gehry. Very similar to the end result Sprint Center, but with a green space and outer walking area on the top. If I remember, it was also supposed to be an ice skating rink. "Architecture is to be experienced by moving through it rather than looking at it." Do you know how hard it is to take photos of all that wavy metal? I have this feeling that the arena in that rendering woud look nothing like that after built. Where is the skin? I love the Sprint Center just the way it is! I love this building. It, or a variation like it would be amazing in our DT! bahua wrote: The HSB Turning Torso building is my favorite building ever. Relocate it! It's actually 7 feet shorter than 1KCP! I have always loved the 225 South Sixth Building in Minneapolis. GRID wrote: Do you know how hard it is to take photos of all that wavy metal? Yeah, I like the Sprint Center too. It's nice to have a new arena. But I'm not impressed with it at all. I'm a designer/architect by education and profession. The Sprint Center offers nothing new or innovative in way of architecture, design or ergonomics. Don't get me wrong. Its a very nice arena. A great edition to Kansas City and I'm glad we have it now. But, IMHO, I don't see the Sprint Arena getting any awards in breakthrough design and innovation. Its no Calatrava, Renzo Piano, Peter Zumthor or a Frank Gehry, sorry. 3344 Peachtree in Atlanta... An amazing building. 3344 Peachtree is one attractive building. a scaled down slightly different version of the sears tower...if there was no sears tower. i'm incredibly in love with the sears tower. or another building with such a commanding presence over the city like the sears tower is to chicago, like a taller 1KCP. Anyone have a rendering of 2KCP? Not exactly what I mean, but the scale is closer. Last edited by warwickland on Wed Dec 26, 2007 2:27 pm, edited 1 time in total. Without any hesitation, my first pick is the Chrysler Building. Tosspot wrote: Our Marriott is a hideous piece of crap. At least from three of the four sides. This is a relic of the Mayor Wheeler days. They tore down the imfamous 12th street of our "Paris of the Plains" days. I can understand why City Hall would want to close down a whole row of strip clubs. But did the buildings have to go with them? It's a bit of historical fabric I wish we still had. FangKC wrote: That is a neat building. I like the crown. I like the little one to the left too. The one to the left of BoA HQ is Hearst Tower. Beautiful lobby! Marriott was built as a Vista during Berkely days, not Wheeler. 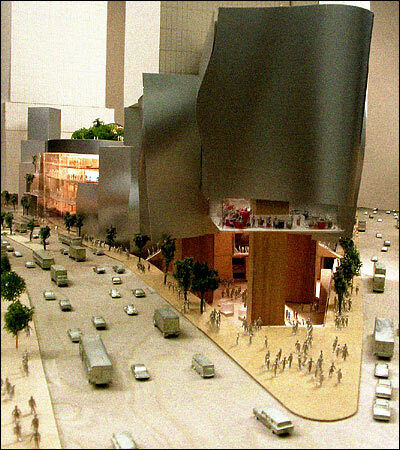 The proposal in the Wheeler days was a Hyatt for the spot looking very much like the one in San Francisco. True, The Vista (now Marriott) was built during Mayor Berkely's term. It was the beginning a of a boom for downtown. I think the Marriott looks OK except for it's poor interaction with the street.